Growing root vegetables, such as carrots, beets, and turnips, poses a very unique problem. Root vegetables grow out of sight, so we often do not know if there is a problem until we harvest them. 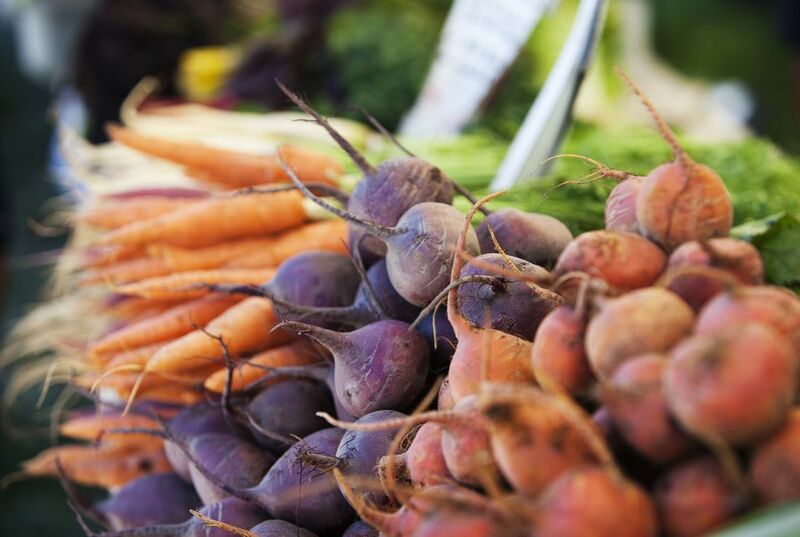 Experience is a great teacher, but here are some tips to get you started on the right track toward growing a successful harvest of all sorts of root vegetables. A general tip for all kinds of root crops is that the soil needs to be loose enough for them to send down roots. If the soil is compacted or rocky, the roots will become distorted and forked. If you have extremely poor soil, you will be better off growing root crops in a raised bed. You could devote one section of your vegetable garden to this raised bed and rotate your root crops in it throughout the season. 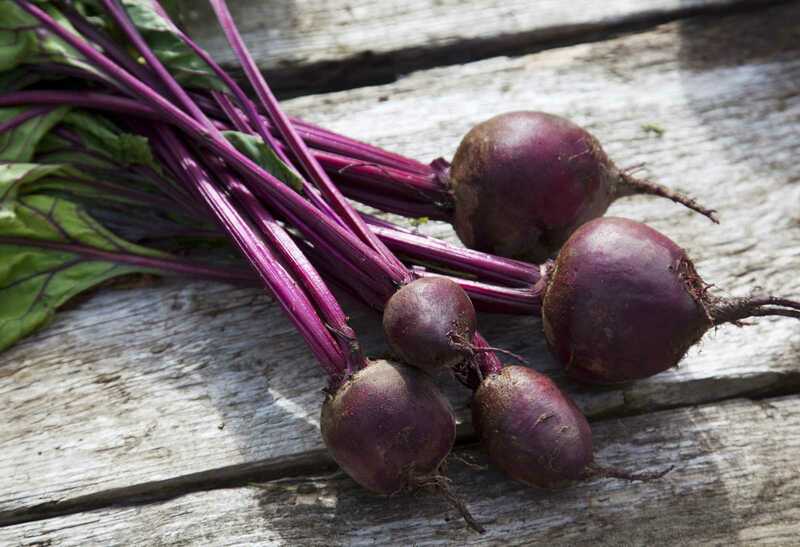 Beets are considered a root crop, but the leaves are edible too. Probably the hardest thing about growing beets is thinning the plants. Like its cousin Swiss chard, the seeds form in clusters and if you do not break the clusters apart, the sprouted seeds will be too crowded to develop into bulbs. The good news is that you can eat any plants you thin. The tender greens are a great addition to salads and stir-fries. Beets grow quickly and taste best when harvested small and young. Succession plant as you harvest for a continual harvest. For such an earthy vegetable, they are surprisingly sweet, especially when roasted. What Are Good Ways to Store Fresh Root Vegetables? Carrots are such a popular vegetable, you would think they would be easier to grow. The long, thin carrot we most commonly see takes several months to mature. While you are patiently waiting for them to fill out, there are many pests above and below the soil that do not wait for maturity to start eating your carrots. So growing carrots takes some experience and a watchful eye. If you have had poor luck growing carrots you might have more success growing one of the shorter varieties like "Paris Market" or "Little Finger." They mature faster, are just as sweet and crunchy as longer carrots, and you can be eating earlier and succession planting throughout the summer. Horseradish is very easy to grow, but with horseradish, a little goes a long way. Unfortunately, it can be hard to grow just a little horseradish. The plants are perennial in most areas, so if you leave some root in the ground, it will re-grow and spread quickly. But do not let that deter you. You can always grow it in a pot. Or take a tip from commercial growers and dig up the whole patch of horseradish, treat it as an annual plant, and start from scratch next season. Is there a more useful vegetable than onions? Just think of all the recipes that start off with sauteing onions. Onions are fairly easy to grow. It is planting them that takes a lot of work. You have three options. You can start them from seed, from transplants or from sets, which are tiny onion bulbs. The sets are the easiest to plant and the quickest to mature. They are also the most expensive. Many nurseries sell onion seedlings, which saves you the step of starting your own seeds. They are inexpensive, but they are tiny and transplanting is labor intensive. Shallots can cost so much in the grocery store, you would think they were grown under lock and key. Actually, you can grow shallots as easily as any other onion. But, like garlic, shallots are generally planted in the fall and each bulb grows offsets to be harvested the following summer. Do not let shallots intimidate you. Give them a try and then impress your friends with your fine French culinary skills. Parsnips grow well in most areas and they will store for months, even getting sweeter with a little chilling. They have been overshadowed by carrots and potatoes, but that is not because of how they taste. Different varieties can be mildly nutty to honey sweet. Parsnips can be eaten raw, mashed, sauteed, and are especially good when roasted. One caveat is that they take 3 to 4 months to mature. So, get your seeds in early, then sit back and wait for a treat. While potatoes are not a root crop, they grow under similar conditions and so they are included in this list. Potatoes are a stem tuber. There is an incredible diversity of potatoes and the only way to sample them all is to grow them yourself. They are easily started from pieces of actual potato and grow fairly easily, although there are several pests vying for their attention. Potatoes are easy to grow in containers. You will need a large container, like a half barrel. Just add a layer of soil, a layer of seed potato pieces and then cover with an additional layer of soil. As the plants grow, continue covering them with soil and potatoes will sprout all along the buried stems. Tip over the container and harvesting is a breeze. Radishes are one of the most popular vegetables for backyard gardeners. They are quick growing and easy to pop into a salad. You would not think radishes could pose so many growing problems, but they do. Most radish problems happen when you try to grow them in warm weather. Radishes need soil cool enough to keep them from bolting, but warm enough so they mature quickly. Check out these problem solvers for radish growing problems. And when you start getting good at radishes, branch out, and experiment with other types. There are long, sliver-thin radishes, colorful, spicy radishes, and winter radishes that make a wonderful roasted side dish. Maybe it is the funny name that prevents rutabagas from being more popular. If so, that is a shame because they are a versatile vegetable that has a crisp cabbage-like tang when used fresh, and they sweeten up to almost a buttery lusciousness when cooked. They are so good they are used for pie. And they are easy to grow with relatively few pest problems. They do not even require a lot of space. Rutabagas do need a growing season of 90 days or longer, but they keep for months. Sweet potatoes are tuberous roots and are usually grown from slips, which are small rooted pieces of the tubers. They are not often grown in cooler climates because they need about a 4-month growing season. However, there are varieties that are better suited to northern gardens and it is quite easy to start plants in containers and move them out when the soil has warmed. There is a lot more variety to turnips than you might think. For starters, you can eat both the greens and the root bulb. If you harvest the greens while they are young, they will keep resprouting. And not all turnips are white with purple tops. There are sweet tiny golden turnips and creamy, bright red turnips too. The really nice thing is they are all easy to grow and fast to mature. You could be eating turnips within two months.